For The Session: Beer Blogging Friday #109, Mark Lindner —of By the Barrel: The Bend Beer Librarian— is the host. Porter is intimately tied in with the Industrial Revolution, in which Britain led the world. Through the growth it enabled the brewers to achieve, it was instrumental in the development and technological application of a number of important scientific advances.” (Foster, Terry. Porter. Brewers Publications. P. 17). I am not a librarian, and none of my long-departed relatives ever owned breweries (that I know of). But I believe that the history of our heritage —whether beer or otherwise— can show us our common roots and point to our common (or uncommon) futures. Beer as liquid history? To repeat, yet again, this trope: well, yes. As to porter substyles, I believe there is porter — Platonic or 'I can't define it but I know it when I taste it'— and then there are other things, infused with kitchen-sink ephemera. Give 'em a great name, like Double Imperial Coconut Killer ale, but, please, be honest and respectful: not porter. Modifiers heaped upon modifiers yield differences of kind not degree. 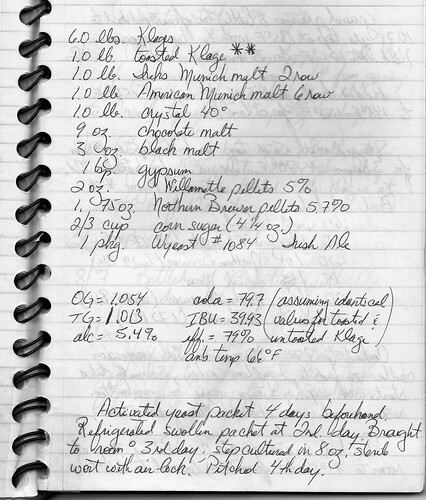 I began brewing at home in the late 1980s. Porter was my go-to brew. In 1992, I trepidatiously entered an enth-generation batch in the Spirit of Free Beer, a contest organized by B.U.R.P. —Brewers United for Real Potables— a Washington, D.C.-area home brew club. The recipe was not complex —especially as contrasted with today's so-called 'extreme' beers of high alcoholic strength and exotic procedures— but, at 5.5% alcohol by volume, it was flavorful enough to garner a silver medal. I went on to brew professionally, but porter would remain insinuated in my soul. That bakers chocolate nose; whiff of dark fruit and pine cone; chocolate-malted body; more-ish but not boozy; that brisk slap of a finish. At the risk of sounding elegiac: is porter dying in the U.S.? I find it harder and harder to find examples on tap or in bottle. If so, that would be a shame: a neglect of tradition and a loss of a delicious thing. But, then, when I can still drink something sublime like this, I smile, mollified. 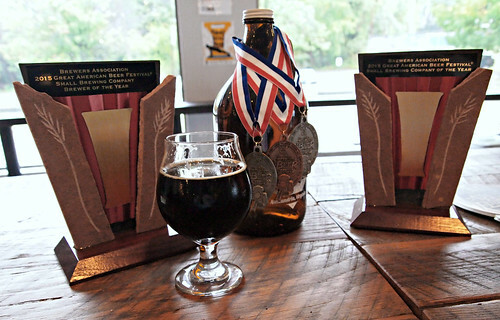 Porter from Port City Brewing (of Alexandria, Virginia) won Silver Medal at 2015 Great American Beer Festival, at which the brewery took top honors as Small Brewery of Year. For ths history and brewing of porter, I read folk such as Terry Foster, or beer-historians such as Martyn Cornell and Ron Pattinson. I avoid BJCP and GABF guidelines, as they are third-party designs, without the imprimatur of primary sources. I wait for a latter-day vatted example. ... but porter, nonetheless, was the beginning of that journey for me. Mr. Lindner is a librarian: an essential profession, particularly in today's digital age. My father — whose birthday I honored on 1 March with a Guinness Stout (if not a porter, at least in the family)— while not a librarian, was a lover of books and libraries. Please consider donating to the American Library Association. Should you be in VA this autumn I am brewing a classic porter with Three Notch'd on their pilot system. Should be available in the tasting room in September.